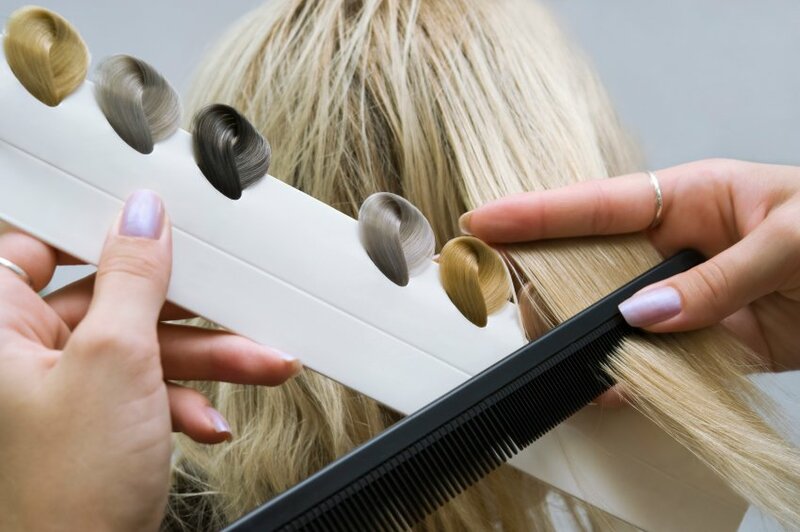 StyleU Salon offers a full range of salon treatments and hair color services provided by a team of professional stylists, all in a clean air environment. As a clean air salon, we offer ammonia-free color services with little to no scent properties or chemical emanation. This healthier alternative to traditional coloring practices is also safe for expecting mothers and individuals with allergies or scent sensitivities. You will have a personalized consultation, color test and mixing, and application to create the look that’s good for you. For covering grey or lighting your natural hair color. Recommended for refreshing faded hair color, add vibrancy, adding vibrancy, or increasing shine on any natural hair color. Specifically designed for bright, fashion-color results, or blended gray coverage. From the French word “sweep,” your stylist will essentially paint on your hair color, making it a subtle, sun-kissed look that’s entirely you. The Balayage is a revolutionary way of applying color directly to your hair without using the traditional method of foil highlights. Using Balayage, stylist’s free-hand paint directly to your hair instead of separating hair by strands. This technique is so good to achieve an Ombre effect, one of beauty industry’s latest hottest trends. When considering coloring options, Balayage is the perfect solution to your needs. This is an on-trend style that leaves your hair darker from the roots to mid-shaft and then gradually gets lighter and lighter to the ends. A permanent wave creates curl or waves full of body, and helps with style support. A relaxer is for naturally curly or frizz-prone hair that needs permanent smoothing. Retexturing is designed for curly hair to reform and restructure the curl pattern. It’s a great service to reduce frizz. Add depth and intrigue to your look with silver, grey or light lavender color. You’ll receive an in-depth complimentary color consultation with your stylist before your color service. Our leading hair color specialists ensures our team continually expand their knowledge through intensive training courses so you benefit from the latest trends, innovative coloring and optimum condition. We offer Haircuts, Hair Coloring, Highlights, Blowout, Updo, Manicure/Pedicure, Makeup, Hair Extensions, Hair Treatments, Weddings and many other services. Our trusted and professional hair stylists constantly continue their education by keeping up on the latest and greatest trends to ensure that we offer quality products and services that you simply cannot find anywhere else. If you havee not visited us before then take a quick peek at our exclusive offers and book an appointment with us soon.